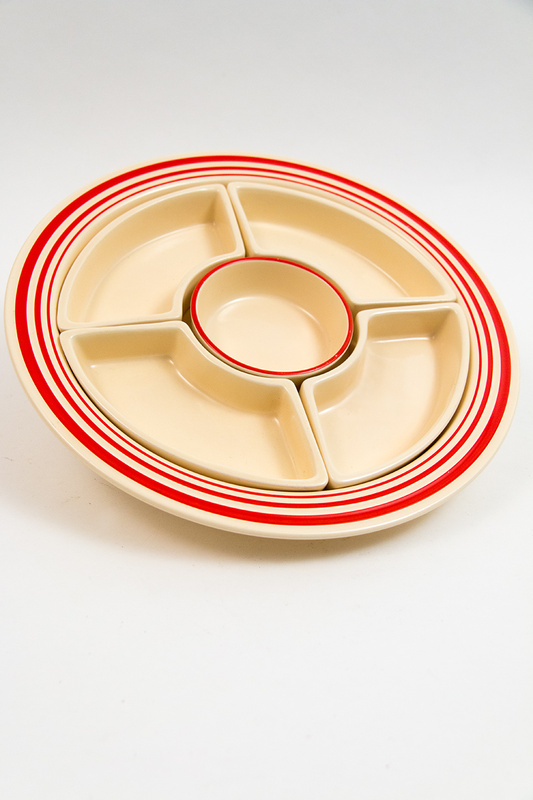 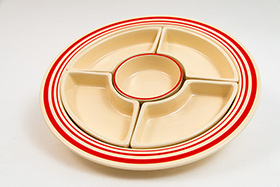 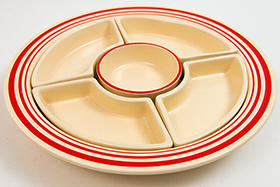 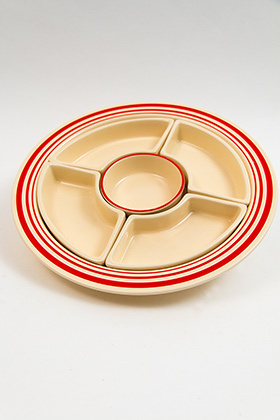 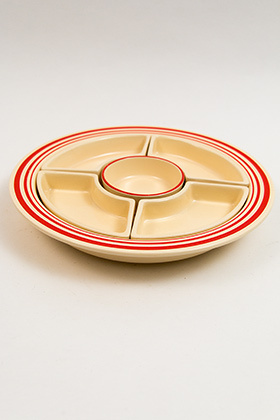 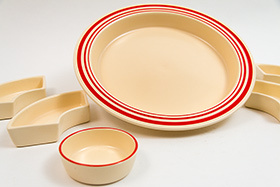 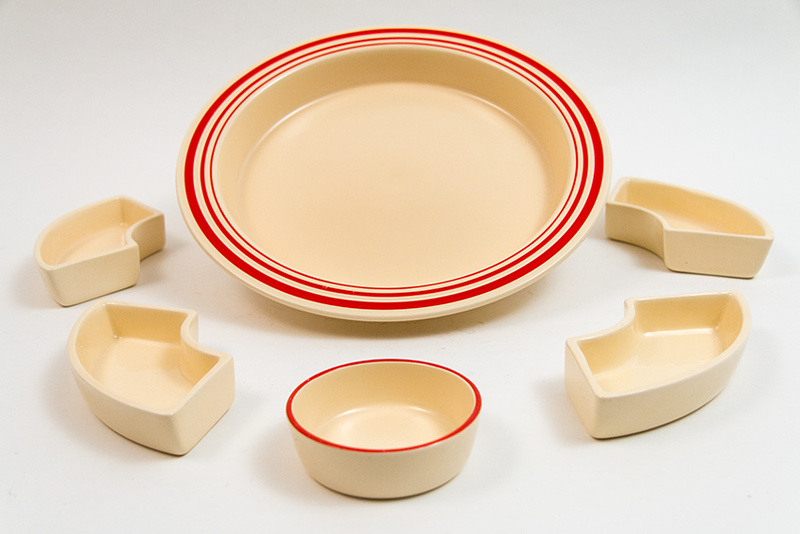 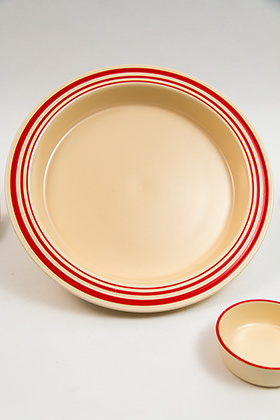 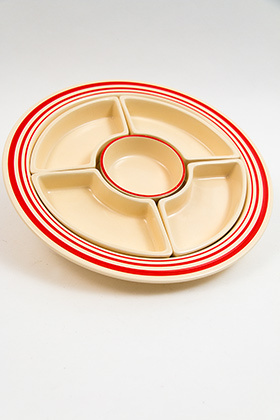 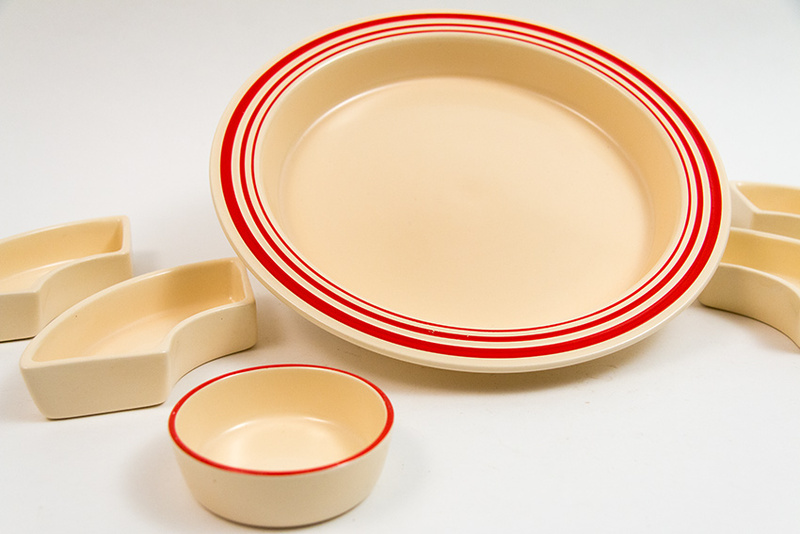 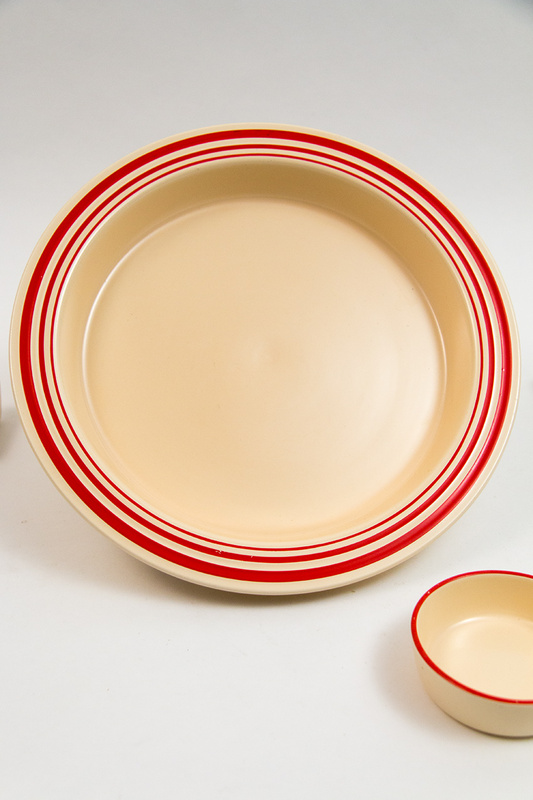 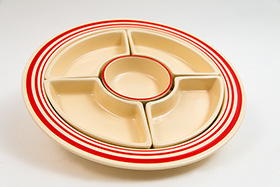 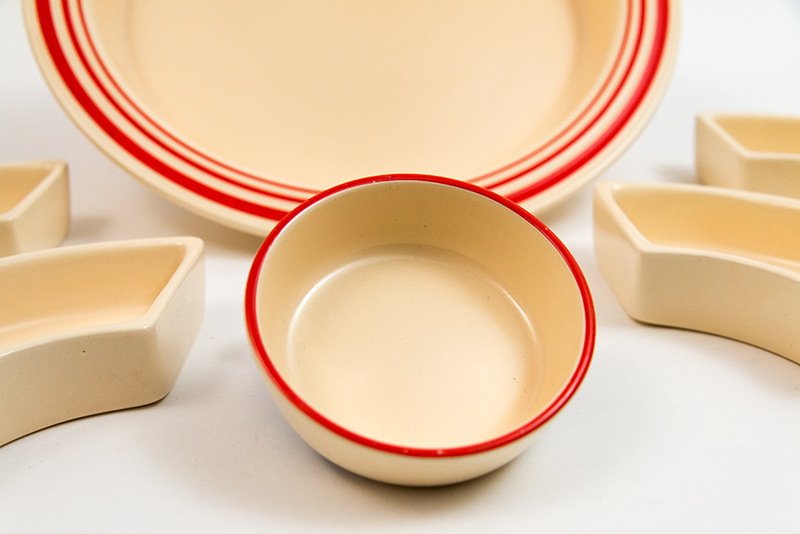 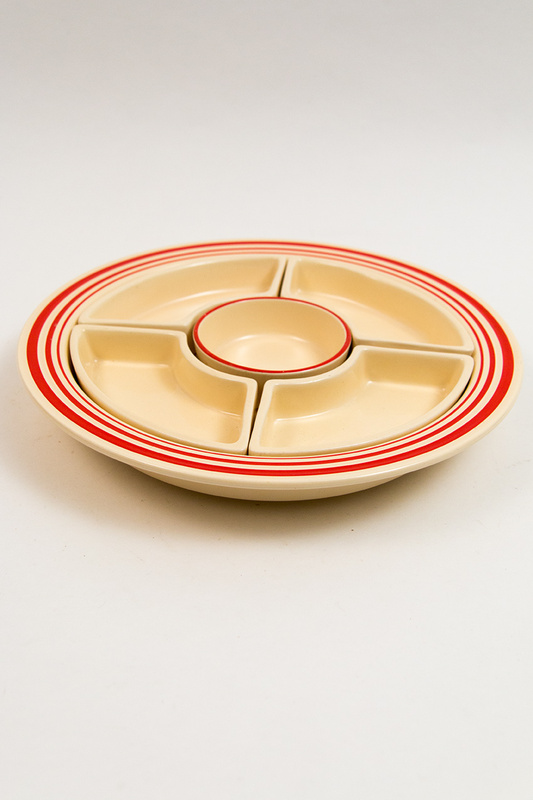 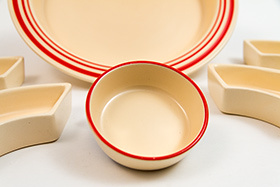 Circa 1936: Advanced collectors of vintage Homer Laughlin pottery will understand how rare it is to find any red stripe piece, let alone the six piece relish tray. This example, the only one I've ever seen, and the only one that has come to public market in the 15 years I've been hunting for homer, boasts spectacular condition and is as good as they get. 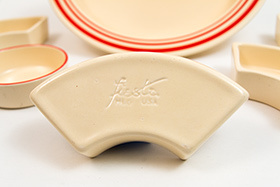 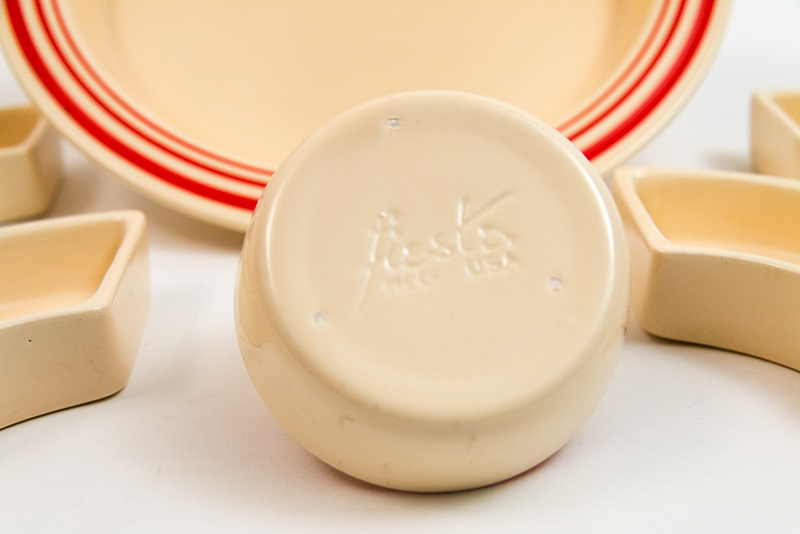 This fully marked ivory relish tray surely is not a marriage, but is an original set, made together and stayed together. Thick walled, with the center insert hand painted with the original red stripe and the base boldly decorated with the three graduating red stripes, this relish tray will surely hold a special place in the collection. 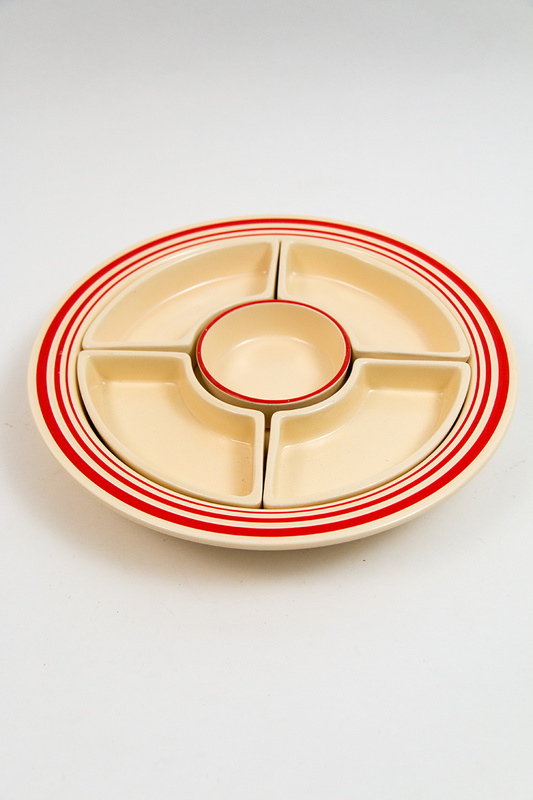 With very few known, this example, in perfect condition, is a delight to find. 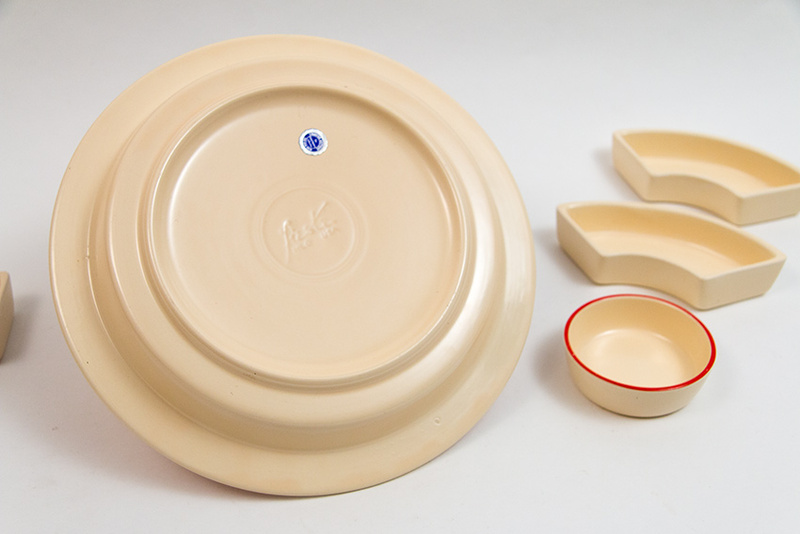 All the pieces are marked and the whole tray exhibits no use and shows no damage or flaws. 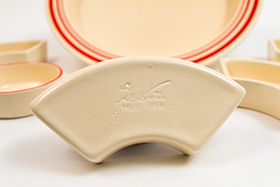 Measures 11" wide and 1 1/2" tall.